Today, there are many different Denver security companies that provide an array of diverse security options. Each option is sold with a specific level of protection for which it provides. As a consumer it may appear that all security systems are the same and offer the same level of protection, however they do not. This is a dangerous assumption, and it is important to do some research and fact checking before signing a contract with a security company. 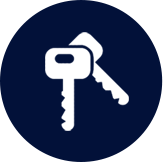 The protection of you, your loved ones, and valuable property should never be taken lightly. There are some elements you need to consider that will help you to find the best security company, and the best security system to protect your individual needs. Choosing the best security system for your home starts by choosing the best security company. A security company is the foundation of your security. Not only in the technology they provide, or the knowledge they posses in regards to home security, but in the level of trust they deliver. Your sense of security is as important as the proper installation of your security system, or the monitoring your security system will require. An expert security company worth hiring will provide you with a sense of security by not only assessing and implementing individual security measures for your home, but by also providing a sense of trust and reliability that will prove invaluable. As stated, there are many security companies for you to choose from. However, there are few companies that will provide the level of personal service that is necessary to make you and your family truly feel protected. Finding an established-credited security company is the first step in securing your home. The best security system companies have a history, and a well documented level of success in the business of home protection. Companies come and go, and trusting your home security needs to a company that has proven longevity gives you and your family the level of stability you need. A company is only as good as the people they employ. Having the access to an expert security team is an imperative part of finding the best security company for your specific needs. 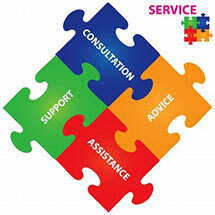 An expert service team will give you the access to the comprehensive protection you deserve. 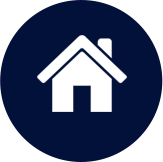 This access begins with a thorough evaluation of your home and property. A crucial component of evaluating a potential security company is making sure a security expert is addressing your specific protection needs. Every house, and every property are different and therefore need specific security measures. Some security companies follow a very basic-cookie cutter-formula of providing security. Typically these companies will simply suggest a couple of motion detectors, door monitors, and move on to the next house. This will not address your specific security needs and may leave you and your family vulnerable. On the other hand a security system expert will take the time to formulate a customized security system, which will tackle all of your security needs. For instance, if you have multiple egress basement windows, or several points of entry to your house, then you need those security risks to be properly evaluated, and protected. A security company will not only have representatives that will provide a custom plan for protection, but also provide an honest evaluation of your security needs. Nobody wants to be sold a product that they do not need. 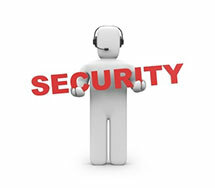 A reliable security representative will not try to sell you a level of service you do not need. For example, if you live in a smaller house you may not want or need every room to be monitored by a motion detector. Bottom line is a security system company worth hiring will listen to your needs and wants, add their expertise and honestly provide you with a custom security system that best protects your home while meeting the needs of your family. An important element in finding the best security system, is taking a good look at their resources. A security system company worth hiring will have a comprehensive list of resources that all work in harmony to provide you the best level of protection possible. Technology is a huge resource in the field of security. The evolution of technology is changing the capability for security companies to both implement security measures in you house, and monitor them. When choosing a security company, it is important to find a company who has the access to- and proper understanding of technology and how it can best protect you. While technology has advanced you still need a security company that has the resources of basic security that have proved reliable for years, like locks and safes. An important resource to look for when trying to find the right Denver security company is finding a company that has the capability to fully monitor your needs. This includes having a call center where an expert can answer any of your questions at anytime, and alert the proper authorities if need be. The appropriate monitoring of your security system will also allow for a long lasting, trusted relationship that will give you the comfort in knowing someone is always there for any security breech or question you may have. The right security system company will have the resources, people, and passion necessary for all your security needs.